At present there is no single satellite-derived global land cover product that is accurate enough to provide reliable estimates of forest or cropland area to determine, e.g., how much additional land is available to grow biofuels or to tackle problems of food security. The Landspotting Project aims to improve the quality of this land cover information by vastly increasing the amount of in-situ validation data available for calibration and validation of satellite-derived land cover. The Geo-Wiki (Geo-Wiki.org) system currently allows users to compare three satellite derived land cover products and validate them using Google Earth. However, there is presently no incentive for anyone to provide this data so the amount of validation through Geo-Wiki has been limited. However, recent competitions have proven that incentive driven campaigns can rapidly create large amounts of input. The LandSpotting Project is taking a truly innovative approach through the development of the Landspotting game. The game engages users whilst simultaneously collecting a large amount of in-situ land cover information. The development of the game is informed by the current raft of successful social gaming that is available on the internet and as mobile applications, many of which are geo-spatial in nature. Games that are integrated within a social networking site such as Facebook illustrate the power to reach and continually engage a large number of individuals. The number of active Facebook users is estimated to be greater than 400 million, where 100 million are accessing Facebook from mobile devices. 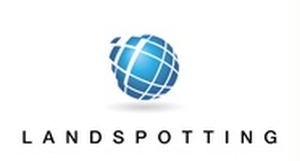 The Landspotting Game has similar game mechanics as the famous strategy game "Civilization" (i.e. build, harvest, research, war, diplomacy, etc.). When a player wishes to make a settlement, they must first classify the land cover over the area they wish to settle. As the game is played on the earth surface with Google Maps, we are able to record and store this land cover/land use classification geographically. Every player can play the game for free (i.e. a massive multiplayer online game). Furthermore, it is a social game on Facebook (e.g. invite friends, send friends messages, purchase gifts, help friends, post messages onto the wall, etc). The game is played in a web browser, therefore it runs everywhere (where Flash is supported) without requiring the user to install anything additional. At the same time, the Geo-Wiki system will be modified to use the acquired in-situ validation information to create new outputs: a hybrid land cover map, which takes the best information from each individual product to create a single integrated version; a database of validation points that will be freely available to the land cover user community; and a facility that allows users to create a specific targeted validation area, which will then be provided to the crowdsourcing community for validation. These outputs will turn Geo-Wiki into a valuable system for earth system scientists. author =     "Steffen Fritz and Peter Purgathofer and F. Kayali and M.
and G. Triebnig and S. Krause and F. Schindler and M.
this land cover/land use classification geographically.